Today WestJet announced May 2018 traffic results with a load factor of 82.2 percent, an increase of 1.6 percentage points year over year. Revenue passenger miles (RPMs), or traffic, increased 7.5 percent year over year, while capacity, measured in available seat miles (ASMs), grew 5.4 percent over the same period. 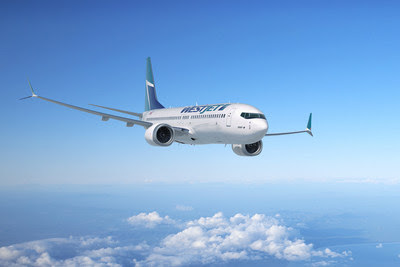 WestJet welcomed an additional 147,000 guests in May, a year-over-year increase of 7.5 percent. "Although May presented extraordinary challenges, we are delighted that 2.1 million guests chose to fly with us," said WestJet President and CEO Ed Sims. "My sincere thanks go out to each individual WestJetter for their continued dedication to delivering our award-winning brand of friendly caring service."